Many of us do not like to think about death or burials, especially our own. It is not until we are faced with an unexpected death of a loved one, that we realize how unprepared we really are, not only of the death itself, but of the funeral and burial process. The funeral and burial preparations are overwhelming: selecting a funeral director and a coffin or cremation urn, which cemetery or columbarium site to use, writing the obituary, choosing clothing, type or color of flowers, type of religious service, music, and readings, what charities should the memorial contributions be sent to, making up a family picture collogue, choosing a restaurant or place to serve food after the service, finding the will, and knowing and understanding the cost of the funeral expenses and source of funds to pay the funeral bills. All of these decisions and questions must be answered or addressed quickly in a matter of hours or a day. The immediate days and hours after losing a loved one are stressful and traumatic enough without having to go through all the issues just mentioned. While we don’t like to talk about our death much less plan our funeral service and select a burial location, it should be out of love and consideration to our grief stricken family that some of these essential decisions should be made and taken care ahead of time. This includes deciding on the type of burial we want and selecting and paying for the cemetery plot or columbarium niche. No matter which manner of burial we choose, the Charles Baber Garden Cemetery offers both the burial plots and the columbarium niches. 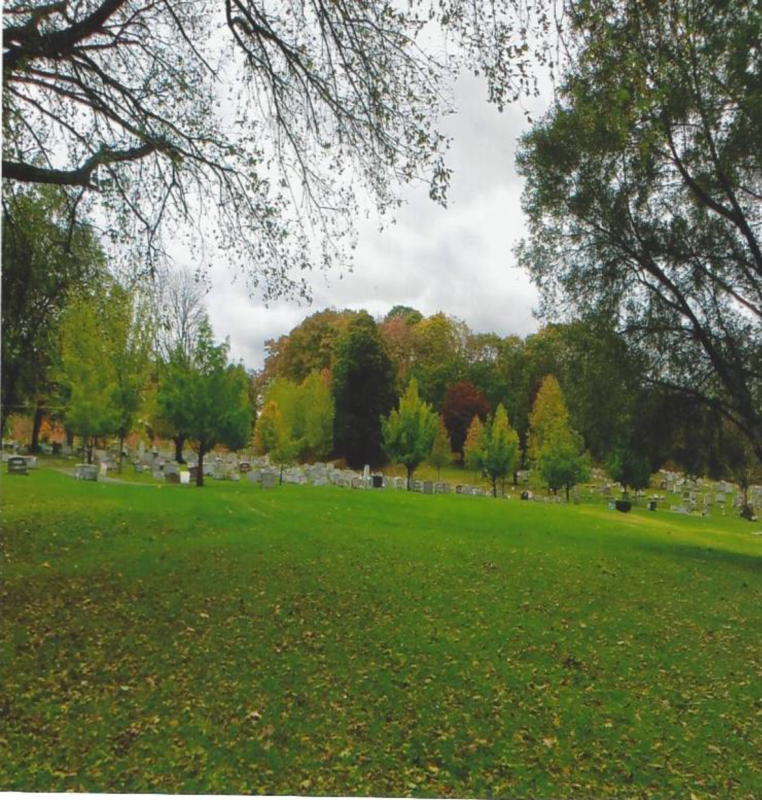 The burial plots are in natural surroundings of trees, shrubs, and grass. If a plot of ground is selected, the headstone can be of the size and shape and with the wording, markings, icons, and symbols we choose. Because of the customized size and shape of the headstone, it can be easily identified from other headstones even with fallen leaves and deep snow. 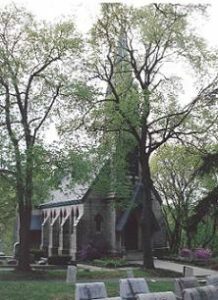 If selecting a cremation, there are two in-ground bronze columbarium located on both sides of the front entrance of the Gothic chapel in the cemetery. This beautiful chapel is situated at the end of the main gate entrance road.